Krish Ragunath is Professor of GI Endoscopy, Head of Endoscopy Service and Consultant Gastroenterologist at the Nottingham University Hospitals. He is the BSG International Secretary, Fellow of the Royal College of Physicians of Edinburgh and London. 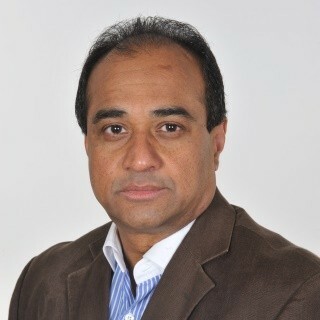 He is member of the BSG, ASGE, ESGE and conferred honorary member of the South African GI Society. He is advisor for NICE interventional procedures in endoscopy, sits on the BSG Endoscopy and Oesophageal committees, steering group member of the BSG Endoscopy research network. Professor Ragunath is an active member of the International Working Group on Classification of Oesophagitis (IWGCO) and Barrett’s Oesophagus. His clinical and research interests include advanced endoscopic imaging of the GI Tract, in particular Barrett’s oesophagus and minimally invasive endoscopic therapy of early GI neoplasia. He has authored / co-authored several peer reviewed publications and text book chapters. He has also performed several live endoscopy demonstrations, endoscopy training in animal models and has lectured in national and international meetings. He was the recipient of the BSG Hopkins Endoscopy Prize 2010. Era of Barrett’s surveillance: Does equipment matter? High-definition imaging and NBI -improving colonic imaging? Image-enhanced endoscopy technology in the gastrointestinal tract: What is available?